Bundle price:	NZ$1,725.00 Includes FREE items worth NZ$357.00 ! Online Distribution Warehouse, Hillsborough, Christchurch, New Zealand. 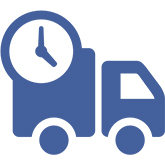 If Delivery is required please "CONTACT US" via e-mail or phone for a Quote. 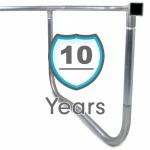 GeeTramp® has specifically designed the frame to curve out in the centre of the long sides and inwards on the short sides, this not only increases the bounce in the centre but greatly improves the consistency of the bounce from end to end! Although a lot of research and development has gone into making this one of the bounciest trampolines on the market, GeeTramp® has kept safety the number 1 priority by having Australia's safest safety padding and one of the strongest net constructions. 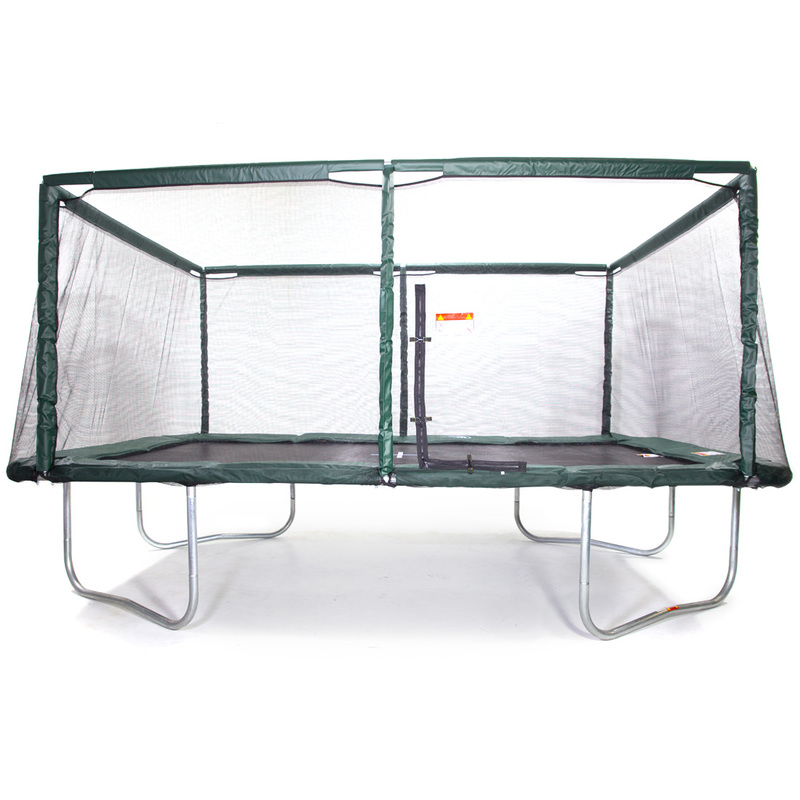 This trampoline has a standard mat and springs which combined with our frame is already one of the bounciest trampolines on the market but if you need as much air a possible we recommend going for the High Bounce 10x17ft Rectangle Trampoline which has a high bounce mat and springs. 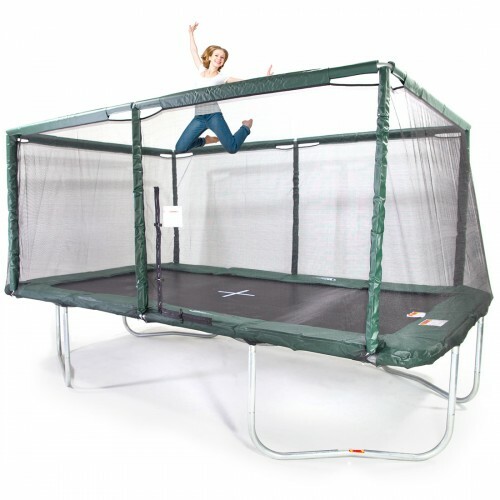 This trampoline is 17ft long and 10ft wide which is the preferred sized for gymnasts and is also the Olympic size. 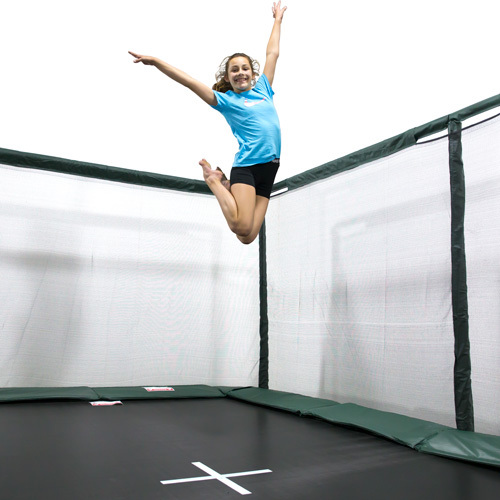 Gymnasts love 10x17ft trampolines because they are quite long to allow gymnasts to perform their tricks and routines whilst still having a fantastic bounce. 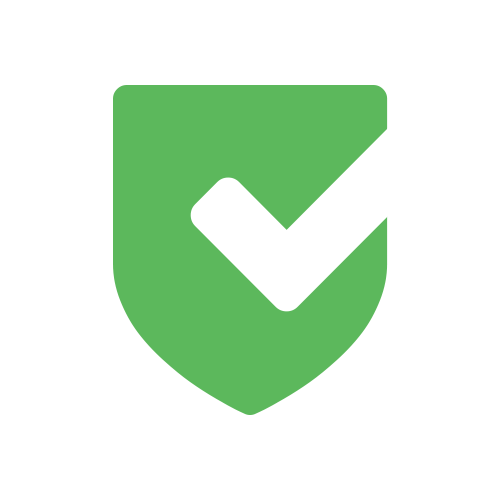 All of our trampolines are designed for safety and built to last. 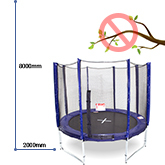 Australia Standards AS 4989:2015 are one of the toughest set of standards for trampolines in the world. 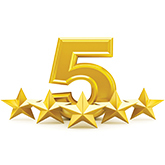 Although these standards are not mandatory, we have done countless hours of research and development to ensure our trampolines not just meet, but exceed these standards. 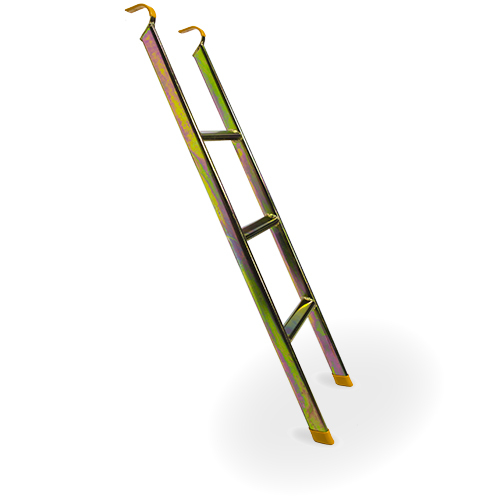 Get onto your trampoline quickly and safely with our ladder. 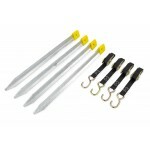 Constructed out of a beautifully gold coated, rust resistant steel that's very sturdy and will last a long time. Made from a special UV resistant webbing that has small fingers in mind. 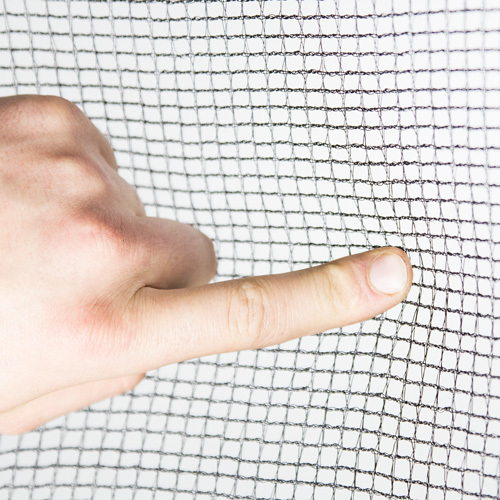 The small holes in the net make it near impossible to get your fingers caught in - not like some other netting material. 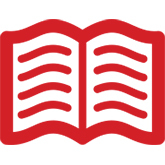 Find out more about our net. 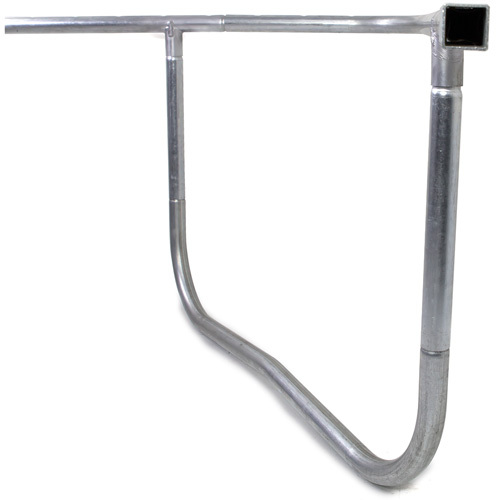 Made from 60x2.5mm double hot-dipped galvanised steel. 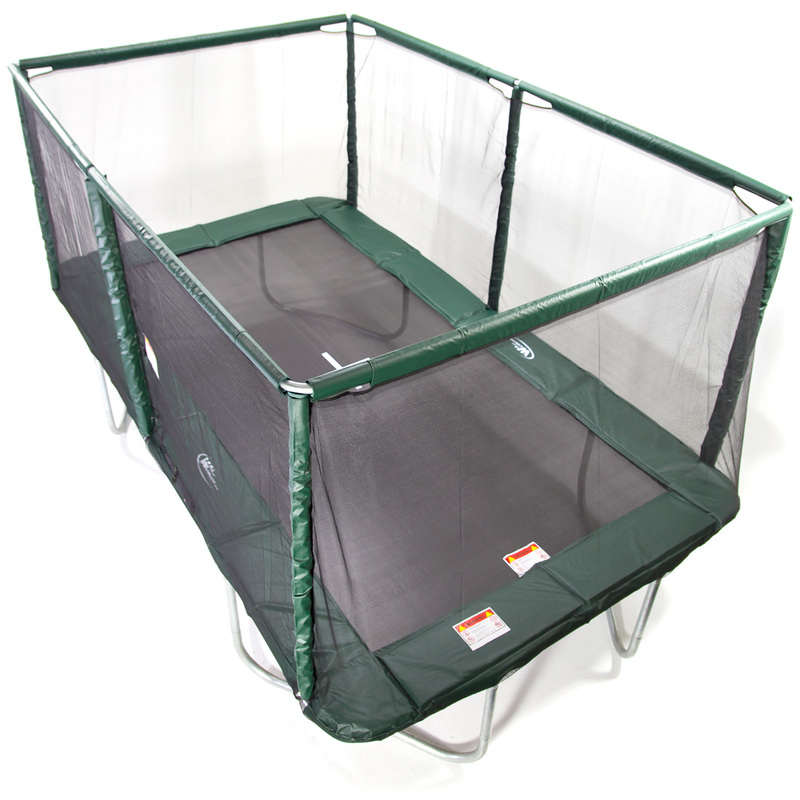 Our trampoline frame provides a very sturdy base for the springs and jumping mat and will also give the user a more responsive bounce. Discover more about our frame. 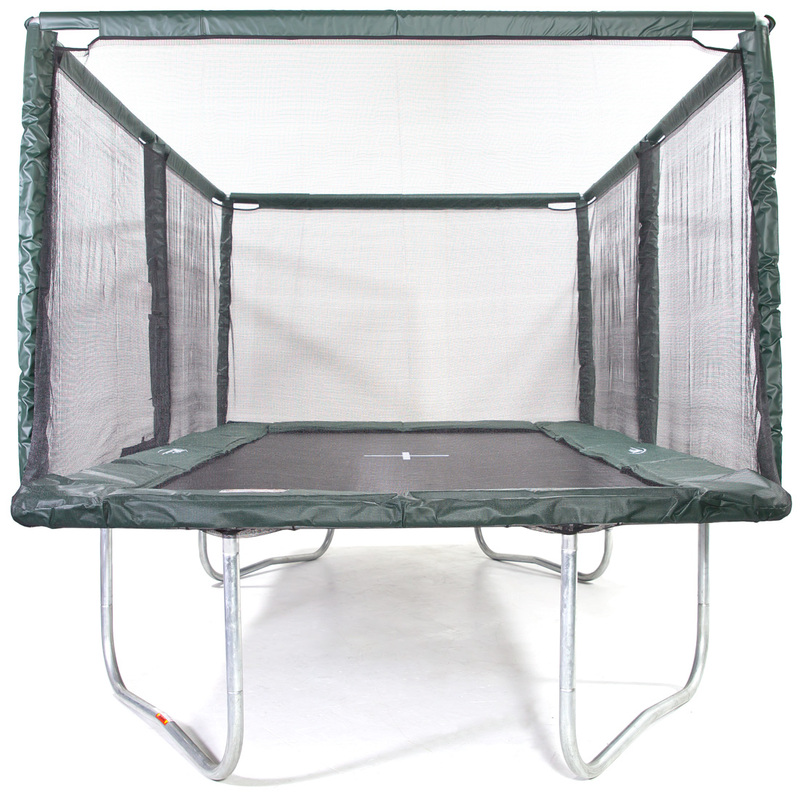 With this trampoline, you can upgrade to our high bounce mat which is specifically designed and tested to improve bounce. 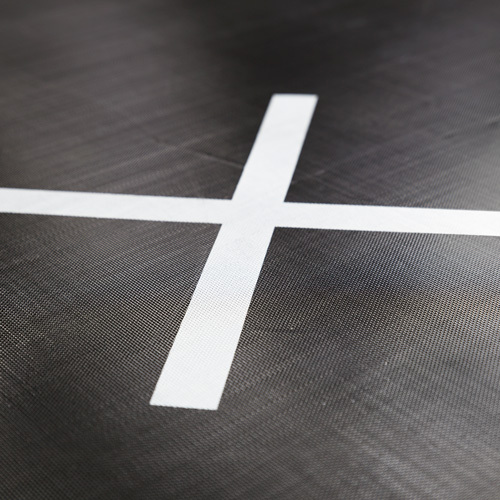 The 10x17ft is the Olympic size which gymnasts and cheerleaders love, so this is a great option if you're doing either of these sports. 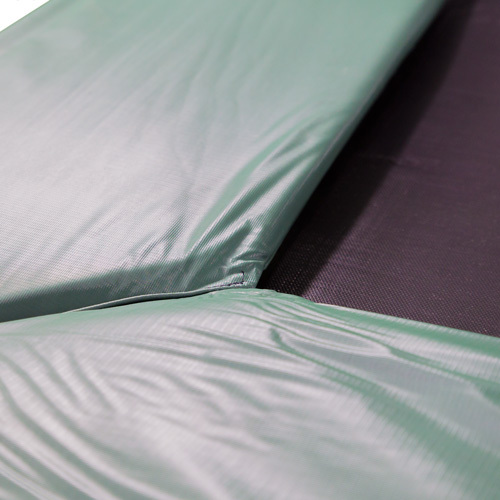 Find out more about our high bounce mat. 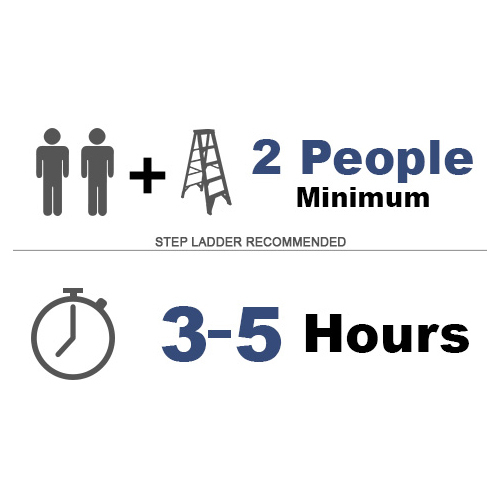 We have designed this trampoline to be as easy as possible to assemble, however, due to the heavy duty components we recommend 2 or more people and allow 3-5 hours. See how this trampoline goes together. 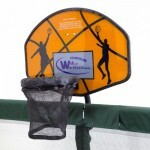 Do I need a wind anchor kit for my trampoline?